Fashion is very important in Malibu and whether you’re a male or female, visitor or local, there will never be shortage of shopping choices in this town. Being trendy isn’t always about the clothes you wear, but where the clothes you wear came from. California is home to some of the most progressive fashion trends in the world, however, one of the most important places to make your fashion purchases lives right in beautiful Malibu, CA. While shopping in Malibu can be overwhelming with all the high-end boutiques consisting of beautiful clothing, hand picked from all across the world, there’s one place that visitors and locals can always turn to for the latest trends made right here in America. 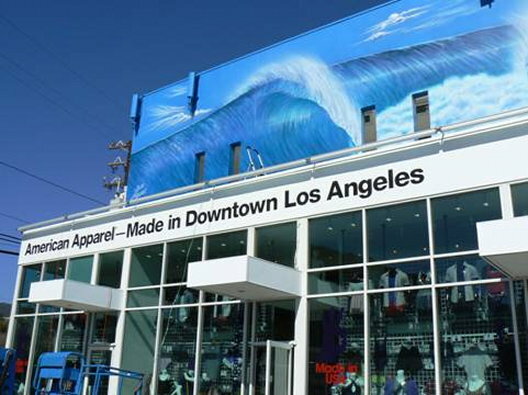 Located in a building that can’t be missed when driving up and down the PCH, American Apparel contributes to the ever-changing fashion trends in America. Shop around for cool, comfortable and unique styles that make American Apparel so reputable. What makes American Apparel’s apparel so appealing is that it’s all made right here in America. Not to mention, this shopping experience is sure to be a memorable one due to the fact that it’s located right off the PCH with stunning views of the ocean right from the window. All American Apparel employees are passionate for the industry, being paid fairly and motivated to create the best possible clothing for consumers. Ever since American Apparel took a stand, they have been widely known for being a “sweatshop-free” company. For more information about shopping at American Apparel in Malibu, check out, American Apparel, or call (310) 456-0493.